There has been an outpour of public sympathy and uproar in media, especially electronic media, over the shabby manner in which an IAS officer Durga Shakti Nagpal, SDM ,G.B Nagar in UP has been suspended for doing what it seems her duty in a manner which is as per rules. 7. each of those taking up her cause had an ulterior motive - for e & print media it was instant TRP, a convenient case for most political parties, a time to cash on by the 'Associations' (aap abhi tak kahaan the bhailog? ), and almost everybody...you name it and there's a reason...did any of them think about what could be the repercussions of this public hullaballoo on her- the victim in this case? 8. or is it because it happened in a place close to Delhi, in a state which isn't run exactly by a party which is the darling of media and most importantly because it was hyped by the media esp e-media? And everybody rushed in the mad race to cash in instant two days glory at the sheer expense of Durga? I am sort of convinced its the last reason which is the main trigger. Other may have different opinions and may say that its a mix of some or most of these but I feel its time to introspect. Whether what Durga did is justifiable and as per rules ? There are two possible reasons as of why she has been placed under suspension by the UP Government depending upon which side we are talking from. First - she had taken on the powerful lobby of sand mafia by confiscating tractors/trucks carrying sand illegally and had filed number of cases against those involved in the last six months. The fact that sand is otherwise available toward the mafia for the never ending and in fact ever growing construction activities in and around Delhi so nearby as in G B Nagar (NOIDA), any curb on such mining did hurt those involved financially and they wanted her out. Second – that a compound wall of a religious place was being built unauthorizedly on a Government land and she ordered for its demolition, in accordance with the Supreme Court order. It didn’t mean that she was against that particular religion but just that she followed the rule of law and did what was expected of her. Community activity (including construction) can certainly be taken up on a Government land but proper permission needs to be obtained from the authorities which wasn’t done and thus. However, the possible reason for her suspension, if this really was the cause, was the perceived likelihood by the State Government of communal violence esp on the eve of a major religious festival coming up. I don’t rule out completely that this was the final trigger even though it made a good excuse for her ouster as sought by the sand mafia because the party in power in the State wants itself to be identified by the religious community esp when elections are due shortly and the state government perhaps have nothing to seek their vote for otherwise. The fact remained though that there wasn’t any religious clashes nor was there any likelihood. And it’s almost sickening as to why do we presume that the said community is so susceptible and lack required maturity and wisdom that it will indulge in violence at the slightest pretext, genuine or otherwise? Durga was absolutely right in what she did in either case and went by the rulebook. To that extent, her suspension is not justified and is almost ridiculous and a mockery of the system that bureaucracy is. There is a well laid out procedure when an All India Service (AIS) officer (IAS,IPS & I Fo S) can be placed under suspension. Problem is that over the years, the line between AIS officers and other state government officials has been diluted and AIS officers too are getting suspended the same manner in which an assistant or a section officer would be under the circumstances. I reiterate that Durga’s suspension is wrong, unjustifiable and is an act of political brazenness and abuse of power and has been done without the application of mind. However what I am coming to now is whether this is a standalone case? Media, especially electronic media hasn’t stopped debating the issue for the last 10 days and it’s only getting worse. While such acts of injustice meted out honest officers need to be highlighted but hasn’t media gone completely overboard and lost the seriousness of the wider issue which is abuse of the administration by those in power at their will? Hasn’t media actually trivialized the issue by focusing only on Durga? a. Geographical (Location) bias – would the issue catch a similar attention if it had happened in Manuguru sub division in Khammam district in AP or in any of the sub divisions in the NE states? Clearly, there is a geographical bias because the sub division happened to be NOIDA, next to Delhi and very convenient for the media to focus on; I recall a woman IAS officer in AP who, way back in 1994, did her duty as diligently as it could be and went on to check the house of the state minister while weeding out bogus voters and did deleted few bogus names from that address and what happened? She was promptly transferred out within 3 days. Of course, one didn’t have media those days but am wondering whether it would have been highlighted even today because it happened in a remote subdivision of a distant State? b. Political bias – would a similar media outcry happen if it had happened in a state ruled by different political party, say in Bihar or Haryana? There are scores to be settled and instances like these come in very handy to preach a lesson in morality and ethics; and then we have political suckers who are offering her tickets from their party to contest elections! Shameful to say the least. c. Media (media as a judge who delivers instant justice) bias – in order to grab headlines, taking up (or making up) issues which are perceived close to television viewers in taken up with a vengeance. Corruption is an irritating issue for most of the people and the injustice done to an IAS officer because she fought a powerful sand lobby was to be highlighted. However true it might be, hasn’t media judged on its own yet again that this is the reason and is passing judgment on a daily basis? Should it just not raise the issue and leave it there? And it's not just electronic media. The print media too have joined the bandwagon, way beyond its mandate I presume to the extent that some have started pledge your support campaign to "save Durga". And as I update this today, the frenzy in media is already shifted to some other issue in the neighboring State and she seems to have already been buried in the media annals ....! d. Gender bias – would media highlight with similar passion if it were to be a male IAS officer? Well, it did in Ashok Khemka’s case but then it was, to my mind, more to do with who he had taken on against and the sheer audacity! There are similar cases of harassment, even worse, happening elsewhere but hardly get the attention. Though, I should also say that I am glad if this bias is there and I am writing it in a positive sense. Are some of us trying to tell ourselves that its because it's she - the young, bechari lady officer who needs to be protected?? Really? It's a shame if some of us are trying to forge this logic to suit our end. e. Custodian’s (read IAS Association) bias- I noticed, to my great amusement, how the so called office bearers of the IAS Association (which for long had been defunct and most of us had almost forgotten that it even existed) smelled the opportunity fuelled by their appearance on national news channels and decided to take up the cause with great fervor. Intrigued completely and almost feeling lost in stupid confusion, I venture to guess that they are playing up to the media and while without lowering the seriousness of this instant case, why hasn’t the Association taken up similar cases elsewhere in the country happening to hundreds of Durgas (both men and women officers) who continue to suffer silently! Seems like everybody is relishing the new found glory and feasting on it, tragically at expense of Durga, whose case they are supposedly espousing for! Does it mean that the Association shouldn't have done anything and just watched silently? Am thinking...no, it has done the right thing by taking it up in all the right earnest and let the fight continue till its logical conclusion is achieved which is carrying out systemic institutional mechanisms which prevents any such future cases of injustice. f. Issue (ie corruption & political high handedness) bias - there are officers who have taken up the cause of uprooting of tribes, destruction of forests/green cover, encroachment in urban areas, lack of facilities in government managed hostels and so on and have suffered because of taking on with the well-oiled system. Their injustice has hardly be high highlighted ever. What makes this case so special that more than 80% of the prime time in mainstream electronic media has been hogged by it for more than 10 days now? If corruption or fight against it is perceived to be so close to our heart (read - middle and upper middle class urban citizens who like to discuss corruption in their drawing rooms over a class of scotch and condemn the system routinely in any case), why at her expense? Do we realise the long term negative consequences it will have on her career? Does she have no right of privacy? It's disgusting how everybody has donned upon themselves the responsibility of teaching a lesson to "a stubborn/brazen/insensitive" State Government at whatever cost it might have! It's a typical case of 'we are responsible for what's visible and easily accessible and what's not doesn't exist (India outside Delhi (including NOIDA/Gurgaon etc))'. Media has yet again donned upon itself the role of a judge who wants to deliver justice instantly and will carry on the bizarre blare till such time it brings the State Government on its knees and make it do what media thinks is the judgment. And we have too many folks around who would do anything to appear in these primetime ‘page 3’ type pseudo-intellectual debates and will always try to toe the line of the composer. It’s almost funny. And I am sick of watching the same debate, same arguments and same moral beating of the State Government and the so-called those responsible. For god sake, you have made your point and let the State Government take a call. Carrying the issue to such ridiculous levels will only make it stubborn and it will ultimately become a political or a religious issue. And it certainly won’t help Durga and the likes. it's almost amazing how everybody around is trying to vent out his/her frustration against the system/corruption/one's own inadequacies/one's own sense of injustice meted out at some point at sheer expense of Durga Shakti. I feel sad for Durga. Amidst all this hara-kiri by the media and those playing to the gallery, I feel its she who stands to lose the most. She joined the service couple of years ago and it’s her first posting. Once branded as somebody who could be a ‘potential trouble maker’ for those in power (however much she might not like or isn’t this way), she would always be getting postings which are considered unimportant. Take the case of Khemka. He is my batch mate and one of the brightest and most promising officers of the batch. I would in fact say that there aren’t many in our batch who can match his intelligence, dedication and an absolute clarity of the rule position but look where he has landed. Officers like Khemka and Durga deserve much better and the danger with other trying to grab lime light /publicity/TRP ratings at their expense is that ultimately, Durgas and Khemkas suffer due the such extreme over exposure while media happily moves on to the next ‘breaking news’ conveniently dumping them once the catch appeal loses its sheen. Do we, the common viewer realise that however much browbeating we do against the State Government and call the action by whatever adjective we use (depending upon our mood or frustration or political affiliation), it is their prerogative and nothing much can be done. The best course, in my view could have been to bring out the issue and leave it there, without aggravating it as a matter of prestige or a drive to teach the stubborn State Government a lesson. The State Government could have considered the representation of the aggrieved officer and reinstate her without any delay. Now, the issue seems to have gone much beyond common sense and has drawn swords on both sides. I wish media could draw a line and play a more sensible mature reporting and in a manner where it doesn’t harm these honest officers. I also wish that others too don’t play to the gallery to settle their own frustrations against the system (remember- Durga while being a part of the system is not a system and we have no right to jeopardize her career at our sweet expense) and in a manner which reflect short sightedness, immaturity and tinkering with a system in the momentary heat of delivering instant justice. We are talking about a system which, thanks to the negligence by all concerned, has been rotting and is almost taken for granted for all its ills. What’s required is far reaching institutional changes which would ultimately prevent harassment of honest and upright officers throughout the country even as they work silently away from the limelight. 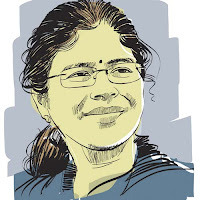 PS - The Supreme Court on Friday (Aug 16, 2013) rebuffed an attempt to "espouse the cause" of suspended IAS officer Durga Shakti Nagpal and dismissed a PIL seeking her reinstatement by a judicial order. Refusing to entertain the PIL by a Delhi lawyer, a Bench led by Justice H L Dattu noted that Nagpal could take care of herself and that she would resort to all proper administrative and judicial recourse if she so wanted. It told Sharma that if the suspension order was against the spirit of the court orders and also contemptuous, then Nagpal and not he should question the state's action. It added: "Why can't she file a petition? If she files it, we would entertain it. You cannot be espousing her cause." A new idea - "we can run with our state officers and the IAS can be taken back" - has emerged in UP political office. It is the beginning. Such an option will become a privilege to other states too. Can the media prevent the UP like state governments from doing so? The electronic media is so much biased now days, they only work for their TRPs. I seriously doubt the course of journalism these days. I agree with the fact that being close to Delhi gives great chance of publicity and access for news agencies to report their manipulated scripts.There are so many instances happening in remote areas and no reporting. ....on the other side of the coin. How many bureaucrats will have a recall value equivalent of even one zillionth of what Durga has today ? What a watershed positive reaction of people and media to bureaucracy against political despotism which they face day in day out. Yes the silent suffering majority is firing from her shoulder and have made it unwittingly a test case to reclaim some lost pride. They would be wrong to vent out their frustrations if their remaining silent would have made a difference to the outcome of this case. The media has already ensured a hardening of the state governments stand. That other cases have not merited such attention does not take away the need to fight in this case. Whatever may be the reasons why some incidents become important, this case has certainly become a crucial battle which bureaucracy cannot afford to lose. Should we allow this fight to be an individual fight and is that possible given the class of political leaders we have to brazen it out with? Should our aim be to somehow convince the powers that be, to be sympathetic so as to survive with servility ? isn't that what we have been doing all along and is that in the long term interest of the service or hers ? and isn't it somehow demeaning to our perception of being the steel frame of the Indian Society which the constitution has sworn us to assume. This incident has given so much food for thought, that it could be a turning point for many things defunct...we have many issues riding on it, including Durga's future, some self respect, some bonding, some bit of responsiveness, some bit of self awareness which may make some turn over a new leaf, and a lot of public faith...there could be many a doubt but lets forgive each other and let go of the past, tolerate the present and strive for the future, let's believe in the association and in each other..let's try to make a beginning....for in our security lies security of rightful action, fearless in doing the right thing and a disincentive to do wrongs..and that could be a new future. Brilliant Post. Could have come only from some one who knows the trappings and the rigor. I also fully agree with you that the trial by media has done more harm than good to the officer in question. She may have to suffer the same fate as that of Khemka and if that would be the case it is a loss for the country and the services as well. Trial by media is always short lived and often unfair. We cannot expect a mature media. After all media is just the mirror. It reflects what is going in the society. Even in the UK, where it all started, the media is highly immature and voyeuristic. Media houses are after all doing business and to expect a fair play from them is an utopian thought. They sell what they feel their viewers will lap up and thus translate into higher revenues. So, often the travels of Katrina Kaif in Spain take precedence over a non functioning drain leading to a trafic jam in Bandra. Having said that there are cases like that of Jessica Lal, which if not for media would have gone unnoticed. Your well thought analysis has lead me to think beyond reason. And when i searched for answers, i could only think of the famous wordings by Shaheed Bhagat Singh. "behro ko sunane ke liye dhamake ki jarurat hoti hai"
"I noticed, to my great amusement, how the so called office bearers of the IAS Association (which for long had been defunct and most of us had almost forgotten that it even existed) smelled the opportunity fuelled by their appearance on national news channels and decided to take up the cause with great fervor. Intrigued completely and almost feeling lost in stupid confusion, I venture to guess that they are playing up to the media and while without lowering the seriousness of this instant case, why hasn’t the Association taken up similar cases elsewhere in the country happening to hundreds of Durgas (both men and women officers) who continue to suffer silently! Seems like everybody is relishing the new found glory and feasting on it, tragically at expense of Durga, whose case they are supposedly espousing for!" Because it hurts those Office-bearers, who at lot of personal risk and suffering in Office have taken pains to come out and speak at every forum. They have done a tremendous work behind the curtains and have slogged to built up an atmosphere which you are perceiving outside. There are others also, who are not office-bearers, but have ran around to raise the issues of governance and status of executive in political democracy at various levels. You may have avoided to hurt their sentiments. I don't think anyone in Delhi is trying to take the advantage of this situation, the only feeling everyone has, is that the system has gone to dogs, the days of IAS showing the path to the politicians to move this nation ahead are over and the goons of both outside bureaucracy and inside bureaucracy have taken over. Since you have also said the following words, so your words quoted above seem to be contradictory and aimed at only for venting out your frustration about the affairs of the Central Association, which you may logically have, but you could have avoided to express them here. "Does it mean that the Association shouldn't have done anything and just watched silently? Am thinking...no, it has done the right thing by taking it up in all the right earnest and let the fight continue till its logical conclusion is achieved which is carrying out systemic institutional mechanisms which prevents any such future cases of injustice." Please don't misunderstand that I am criticizing you but I have seen that the Association Office-Bearers are bit dejected after reading your article and their spirit has gone low now.